Editor's Note: Sometimes it's challenging to stay creative on a budget. I'm so pleased to welcome Zina with a special guest post for you this week. I love these simple, thoughtful and creative ideas for Father's Day. A store bought gift might be quickly forgotten, but this is something to cherish forever. I know you're going to enjoy this as much as I do! One of my goals as a parent is to teach my two girls the joy of giving an original and thoughtful gift. Finding or creating the perfect Father's Day gift can be a challenge. We are a very art focused family, but at some point the fridge door just gets too full. How do you help your child give something "handmade" that doesn't require storage or long-term display? 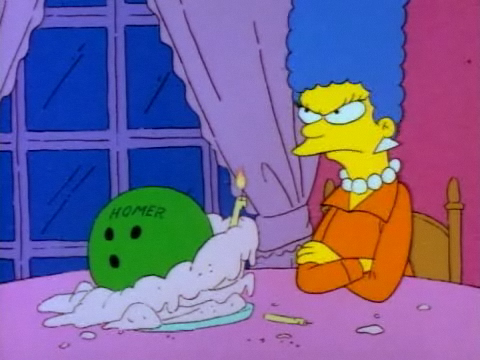 The average mom might ooh and ah over a beautiful handmade scrapbook, but creating something that ornate for a Father's Day gift is sort of like Homer buying Marge a bowling ball with his name on it for her birthday. Keep it simple! Below is a tutorial for a unique and easy gift that you can do with your children for Father's Day. 1. Write a message. Nothing is sweeter than a handwritten "love you." Write the note in permanent marker and then use watercolors to add a dash of color. 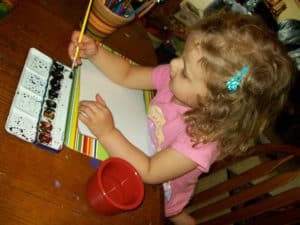 If you have a toddler, you can write the note and have your child decorate it with paint. Another alternative is to write out the words in pencil and have the child trace the letters. 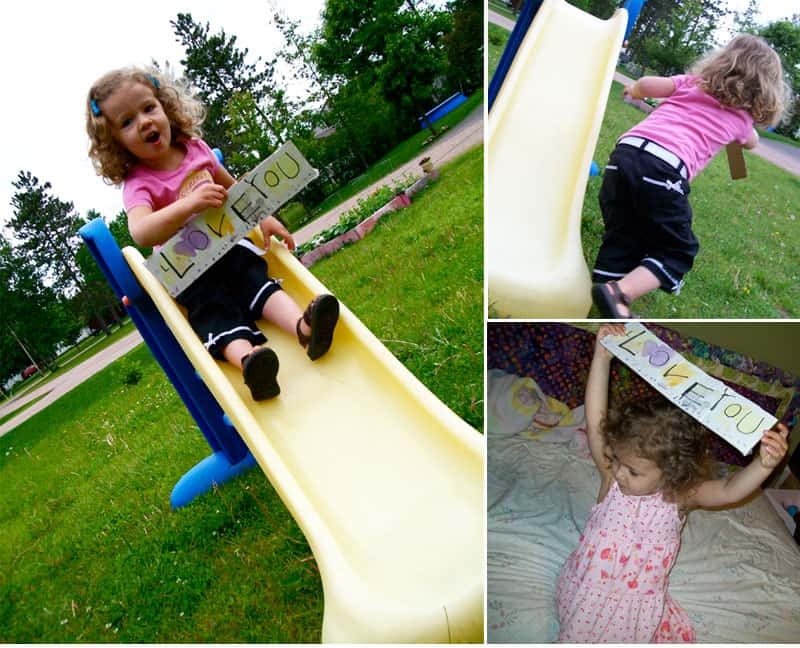 Having your child create the sign will help them feel ownership of the gift. 2. Take photos. Bring your signs on your everyday errands and adventures. 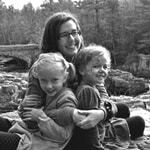 Take photos of your kids holding them throughout the day. You can do this for a single day or even randomly over a longer period of time. Get pictures at the park, while playing in the yard, or even at bedtime. This project is easier than ever with a smart phone! 3. Share the love. There are so many ways you can creatively give this gift to Dad. Create an online album. Put together a simple Flickr Set, a free Shutterfly drop & drag image Share Site, or even post the pictures on Facebook. Create a custom hashtag. If you are going to do the project on your smart phone using Instagram consider creating a custom hashtag. 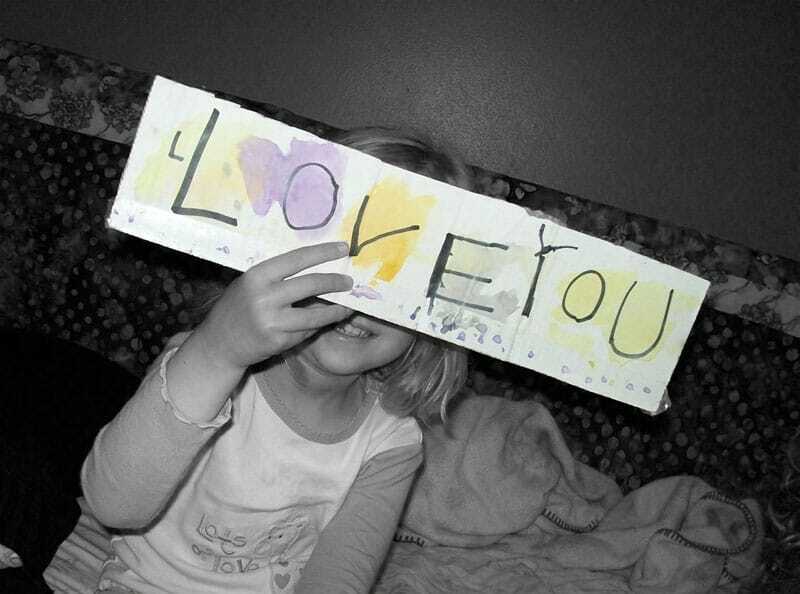 Fill your feed (and Dad's heart) with "love you" pictures throughout the week. If your special guy is not on Instagram use a website like Followgram to search and display your selected photos on your PC. Create a Pinterest board. Did you know you can upload your own photos to Pinterest? Roll over your name in the top right hand corner and you will see an option to "add a pin." Use this storyboard to tell a story of love. If you are using an iPhone for the project you can pin pictures directly from your phone. Create a short photo book. The creative people over at Tiny Prints have teamed up with Shutterfly to create some adorable and simple photo books; check them out. Create a short collage video. If you are on an Mac throw your photos into iMovie and create a short video. I promise you, the software is user friendly. The Apple site also offers helpful tutorials if you get stuck.